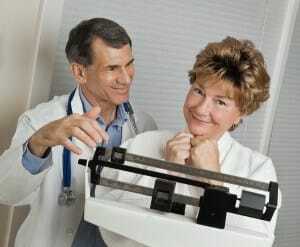 Medical weight loss programs are needed for individuals who are considered morbidly obese. When a person carries an excessive amount of weight for a long period of time, losing weight too fast can be dangerous. This is why weight loss centers offer individual weight loss programs that are designed to meet each person’s needs. Individuals who are morbidly obese and wanting to make the necessary changes to live a healthier life should carefully consider their options when it comes to medical weight loss programs. Before any treatment plan or weight management program is utilized, the person should receive a thorough physical examination from a physician that specializes in weight loss. Customized, individual weight loss plans take into account the stress that is placed on both the skeletal structure of the body as well as the cardiovascular and pulmonary systems. Dr. Urshan and his staff understand the difficulties people may face when they are trying to lose excessive amounts of weight. He understands the importance of taking the weight off in a safe and effective manner through medical weight loss. If you are in St Petersburg or Clearwater or the surrounding areas, contact Dr. Urshan today to find out how he can help you reach your weight loss goals. He can work with you to develop a medical weight loss program that not only addresses your personal weight loss goals but will help you keep the extra pounds from coming back*. He will help you make positive, long-lasting lifestyle changes.